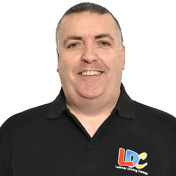 I would like to thank Ian for helping me pass my driving test after completing a One Week Pass Course using the LD System with the LDC Driving Skills Workbook and DVDs. It was a lot to take in every day but he made the lessons enjoyable and, more importantly, you were always calm and relaxed which helped me so much. The knowledge he has of all the different types of roads in Eastleigh and in Winchester is amazing! 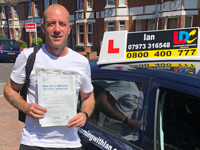 I would recommend him to anyone who wants to learn to drive in a safe, calm and relaxed manner.